TICKETS FOR THIS EVENT ARE NOW ON GENERAL SALE!! 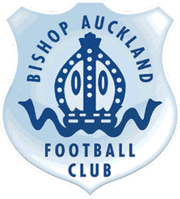 NEFirst Credit Union, Bishop Auckland FC’s main sponsor, is hosting an exciting and very entertaining event at Bishop Auckland Football Club on Friday 11th May 2018, 7.30pm – 11.30pm. NEFirst CU would like to acknowledge and thank Durham County Council’s Bishop Auckland and Shildon Area Action Partnership (AAP) for generously providing some funding for this event. The event, An Evening with Malcolm MacDonald and Dave Parnaby, will be a fun filled and enjoyable evening listening to Malcolm and Dave talk about their very different careers in football. They will also be a Q&A session with both Malcolm and Dave. Malcolm is an English former professional footballer, manager and media figure. Nicknamed ‘Supermac’, Macdonald was a quick, powerfully built prolific goal scorer. He played for Fulham, Luton Town, Newcastle United, Arsenal and the England national football team. 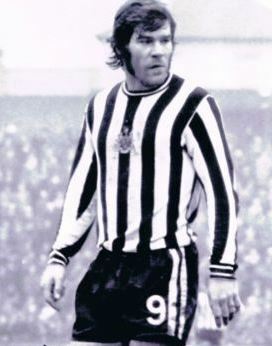 Macdonald is Newcastle United’s fifth highest goal scorer of all time. He also won England’s Golden Boot with Newcastle in1975 and with Arsenal in1977. Dave had a long career in teaching whilst playing for several clubs, then coaching and eventually managing at Gateshead FC. Dave retired from teaching in 1998 and spent the last 19 years of his footballing career as Academy Manager at Middlesbrough FC. NEFirst CU wish to cordially invite you to this event and looks forward to meeting as many of you as possible on the night. The Colin Rowell Suite can seat 100 people and this event is likely to sell out, so please book early to avoid any disappointment. Tickets will be strictly sold on a first come first served basis. NEFirst CU wish any remaining proceeds to be donated equally to BASMJ and BA Ladies FC, as they are very keen to support youth and ladies football associated with BAFC. Raffle: Held during the evening with some great prizes! Cash at any of the remaining BAFC Home games or on the night.